Schools in Washington suspend thousands of elementary-school students each year, but doing so rarely changes bad behavior. How to find school discipline that works? For years, Franky terrified his teachers. He never planned to act on any of them, but the behavior alarmed educators enough to get him suspended from the Clover Park School District, then expelled from Tillicum — placing him among the thousands of children statewide who are removed annually from elementary-school classrooms. Instead, he acted out, finally scrawling his inner world onto a piece of notepaper that another student showed their teacher. Franky’s experience is not uncommon. In Washington, school suspension starts with kids as young as 5 years old, often beginning a downward spiral. Data show that certain children are punished again and again — missing weeks of class without a noticeable change in behavior. A third-grader from Seattle’s Highland Park Elementary, for example, was suspended nine times last year. Such trends, only recently tracked, are raising serious concerns among legal advocates, parents and others who say schools rely too often on punitive discipline, especially for the very young. In general, elementary-school suspensions follow the same pattern as discipline for older students: a surprising number of kids sent home for lesser offenses like disrespect, and black children suspended at rates that far outpace their enrollment. Explanations for the latter fall, roughly, into two camps: those who say African-American kids, like Franky, more often flout schoolhouse norms; and those who insist that mostly-white educators frequently escalate misunderstandings into punishment. But when it comes to suspensions, growing research suggests there is a less contentious — and more productive — way to handle students, one that views misbehavior not as a personal attack but as a language signaling children’s neurological state. Teaching through this lens has given educators a powerful new tool for handling difficult outbursts, and it is getting results in schools from Boston to Los Angeles, including 12 in Washington state. 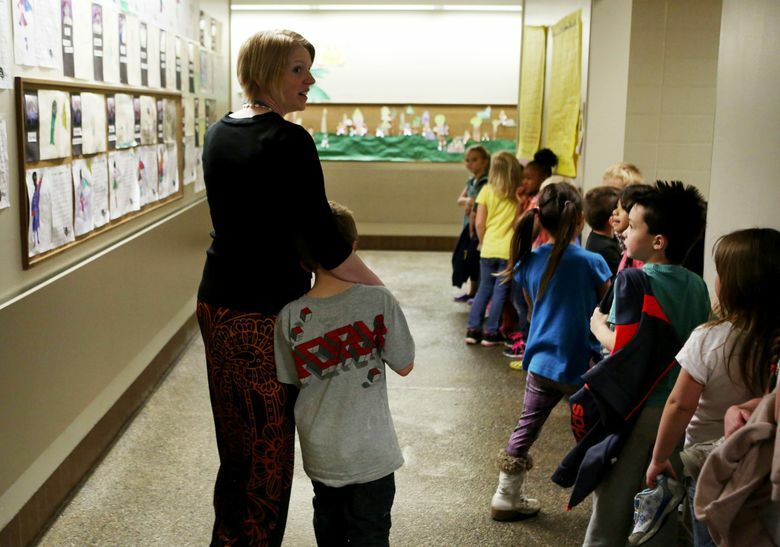 Teachers in at least one Spokane school have watched suspensions drop by half. Such an approach could have been transformational for Franky. Because for all the fear he caused in teachers, it is teachers he remembers most fondly. Compared with his life outside of school, they were the safest people he knew. Put simply, certain experiences — including events as common as divorce — can be traumatic for children and harm their prefrontal cortexes, the part of the brain in charge of self-control and abstract reasoning. As a result, kids who grow up in chaotic or unstable homes may appear unfocused in class or react to off-the-cuff remarks as threats — precisely the sorts of behavior coded “disruptive” or “disrespectful” on school discipline spreadsheets. 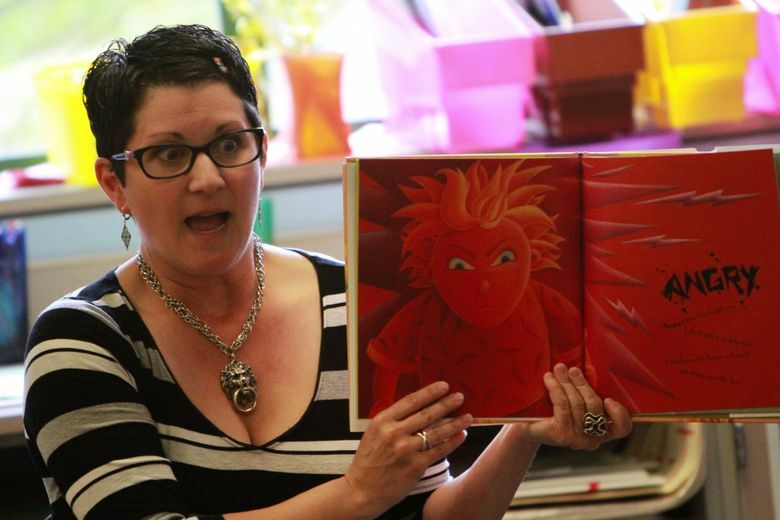 “It’s as if their hair’s on fire, and you’re asking them to write their name,” said Kristy Wilkinson, who teaches third grade in Spokane, where research suggests at least 45 percent of students are growing up in homes riven by alcoholism, mental illness, domestic violence and other types of family dysfunction. The light bulb came on for Wilkinson when she learned that kids from such households exist in a simmering state of emergency — which shows up in school as impulsivity, edginess and aggression. Wilkinson’s epiphany came not via feel-good theorists, but brain science spurred by the findings of two physicians who in 1997 discovered a link between what they called Adverse Childhood Experiences — or ACEs — and adult health problems. The original study, by Drs. Robert Anda, with the federal Centers for Disease Control and Prevention, and Vincent Felitti, of Kaiser Permanente in San Diego, focused on 17,000 patients — most of them white, middle-class and educated, who reported rates of childhood trauma that surprised investigators: Nearly two-thirds had experienced at least one ACE (often, parental divorce), and 22 percent noted three or more, including substance abuse and domestic violence. 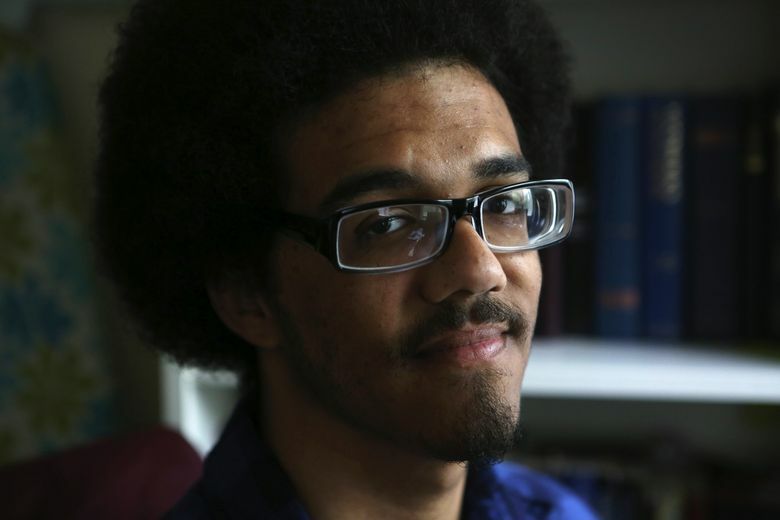 Those findings intrigued Chris Blodgett, a public-health researcher at Washington State University, who began examining school results through the ACEs lens, and believes racism could also be added to the child-trauma list. Poverty, too, is absent from the nine life events officially tracked. But it often exists alongside them. Either way, the upshot was clear: trauma interferes with brain systems essential to learning, and the more ACEs, the more trauma. In 2014, Johns Hopkins University published similar results. 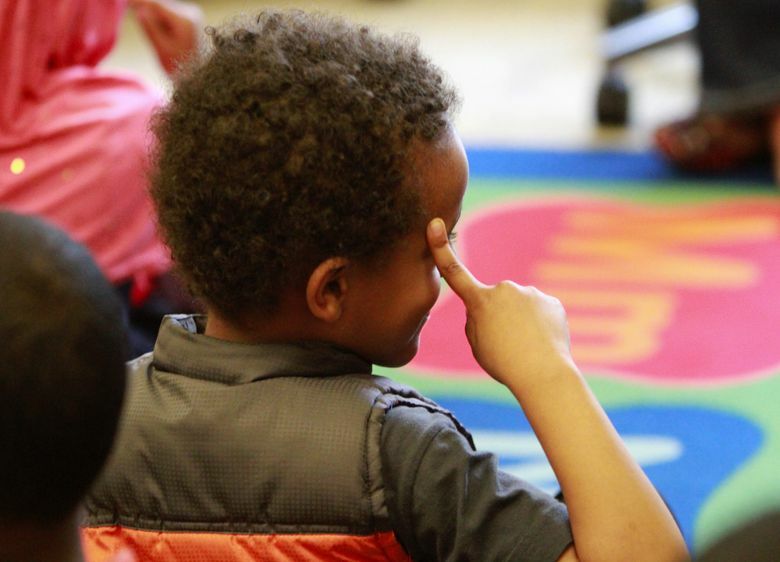 The notion of Adverse Childhood Experiences resonated loudly at Bemiss Elementary, which is largely white and sits in one of the poorest ZIP codes in Washington. Until recently, Bemiss suspended more than 100 kids each year. Education Lab invites you to a conversation on school discipline this Wednesday at South Seattle College. Speakers are Garfield High Principal Ted Howard, Kentwood High teacher Jay Maebori and Seattle student Dayöne Florence. Light dinner at 5:30 p.m.; program at 6:30 p.m. Registration required at seati.ms/disciplineforall. Free. In 2008, Bemiss became one of Blodgett’s early laboratories. First, his team educated teachers about the effects of early trauma, then helped them come up with ways to mitigate it. Predictability, they learn, is helpful for kids with chaotic lives. At Bemiss, this shows up as daily schedules posted with large, colorful letters; student-behavior charts that progress from “super job” to “think about it” to “parent contact”; and secluded corners where children can sit and calm themselves. You are more than your mistakes, says a poster in the quiet area just outside Wilkinson’s classroom. Forging genuine relationships — among teachers, and between students and adults — also works. That may sound obvious, acknowledged Principal Jennifer Keck, but in many teacher-training programs it comes as an afterthought. 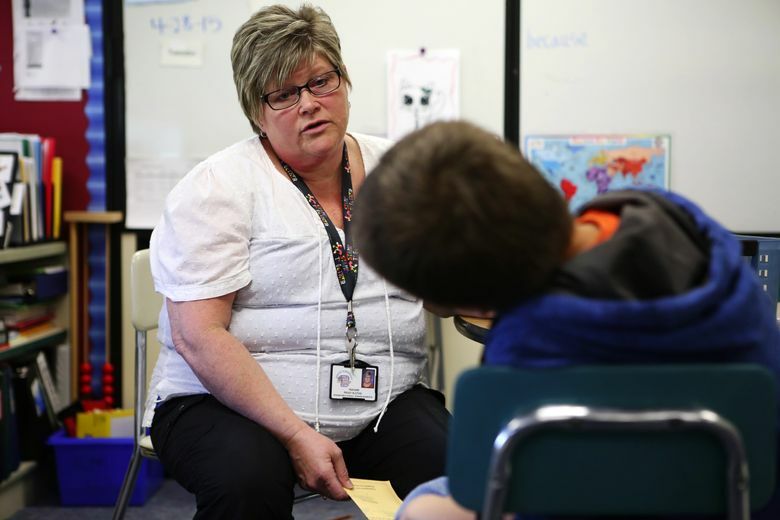 “So much is focused on instructional strategies — how to teach reading, how to teach math or science — but I firmly believe if we haven’t built the relationships, you won’t have instruction as rigorous as you want,” she said. After five years of incorporating these and similar approaches, Keck watched suspensions drop by 33 percent in 2014, without forcing teachers to simply endure disruptive students. Indeed, school records show that defiance plummeted between September and April this school year. That climate is evident in Bemiss Elementary’s cheery hallways, where teachers routinely throw an arm around students — even the most obstreperous. While test scores have bounced up and down, Bemiss is the first high-poverty school in Spokane to make it to the state finals in robotics last year. Keck and her team walked a long road to get to this point. It took four years of monthly training and a team of teachers willing to collaborate on trauma-sensitive approaches. Not to say that Bemiss students no longer challenge their teachers. A fourth-grader sitting outside Keck’s office — arms crossed hard across his chest, hoodie zipped over his head and body pretzel-twisted into a tight little line — provided a recent example. He was a bottle-rocket about to explode, a live wire of rage. Years ago the boy almost certainly would have been suspended. He had scribbled on another child’s work, thrown a marker at his teacher and stormed from the classroom. Peggy Slotvig, who knew the child and happened to be on a break, did not immediately grill him about why he’d been sent out of class. Instead, she ushered the youth upstairs, away from front-office traffic and into an empty classroom where the two sat close together. “Very good — it did set you off. Because it embarrassed you,” nodded Slotvig, aware that the student had been diagnosed with post-traumatic stress disorder, and no longer speaks to his mother. “She started it,” the youth insisted, rocking slightly in his chair. It would be the boy’s responsibility to explain them, just as he had with the librarian and gym teacher, and to answer for losing his temper. Consequences are essential, notes Natalie Turner, a trainer on Blodgett’s team who worked with the Bemiss staff. Back in Seattle, this organic approach to addressing behavior intrigued Vicki Sacco, principal at West Seattle Elementary, which has the highest rate of public-housing students in the city and suspended 13 kids last year. That places it sixth among Seattle elementary schools, a significant improvement from 2010, when Sacco arrived to see children lining the hallway outside the principal’s office. But she wants more. Turner, the trainer, now makes monthly visits to West Seattle. After working with teachers she visits students, showing each class the relationship between feelings, actions and ways to manage them. 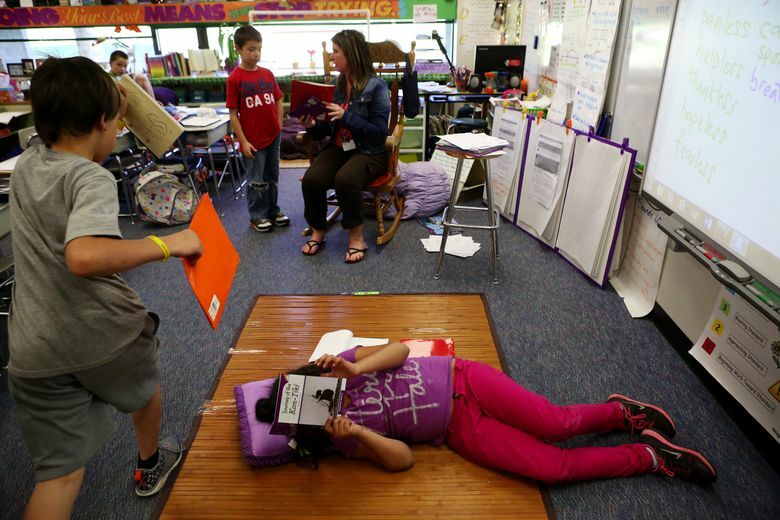 In a roomful of fifth-graders last month she made a fist to model their brains. Her thumb, tucked inside, was the hippocampus, the center for emotions. “Show me where you feel your feelings,” she told the kids. Some pointed to their heads, others to their hearts. One poked at his stomach. Every child in the room shot a hand in the air. “Raise your hands if there is someone outside of school you can talk to about those feelings,” Turner continued. Half the class sat motionless. Editor’s Note: This story was altered on May 04, 2018. A full name reference in the story was changed. After careful consideration the Times felt the alteration did not hurt the accuracy or value of the story and provided more protection for those participating in it.